I discovered the Cotton Market a few years ago, and I could see how my forecast model worked so well with it, in the past! 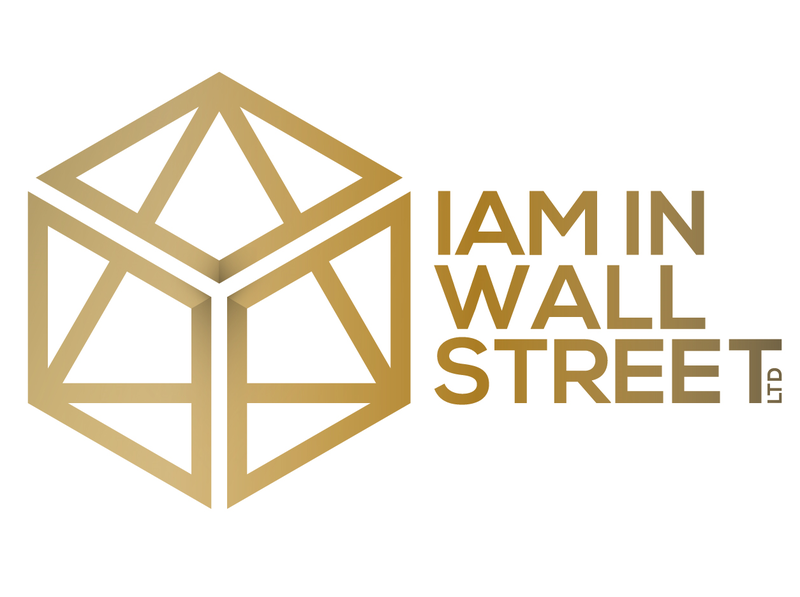 Here, I share with you the last Update I sent to my Subscribers, with the opportunity to see what’s next in April and what prices we should monitor. WHAT HAPPENED TO COTTON IN THE LAST WEEKS? Cotton pushed higher in the second half of February, reaching the top during the first days of March. After that top, we have seen a pullback until now, first days of April. 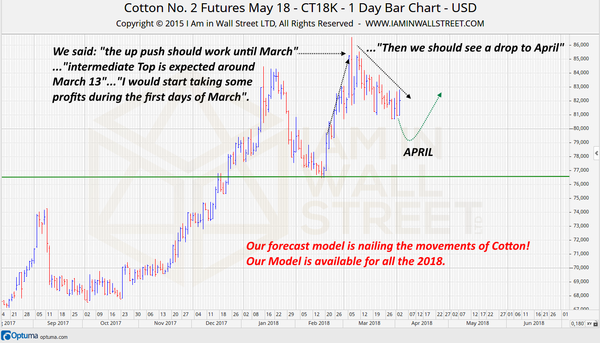 I sent out the last Report Update of Cotton on February 21, 2018, expecting a strong up push until March, and so the Market did. Considering my forecast has been correct, we can expect it will continue to work correctly. In the Update I sent out on February 21 (download here, in PDF), you can see that I was expecting a pullback from March to April, and a new Buy Opportunity in the first-half of April. Here we are! The 2018 May Contract is now pushing down as expected. It has some important levels we should monitor. In the Update, you can see these levels and develop a strategy according to theme. For example, we have an important support in area 79.90-80.10, we can use it to open LONG positions above it with always a STOP under it. These Reports are part of the 2018 Cotton Forecast Bulletin Service, where we provide an annual forecast model and Updates over the year.